October 8, 2015|Posted in: Holidays and Seasons, Let's Eat! 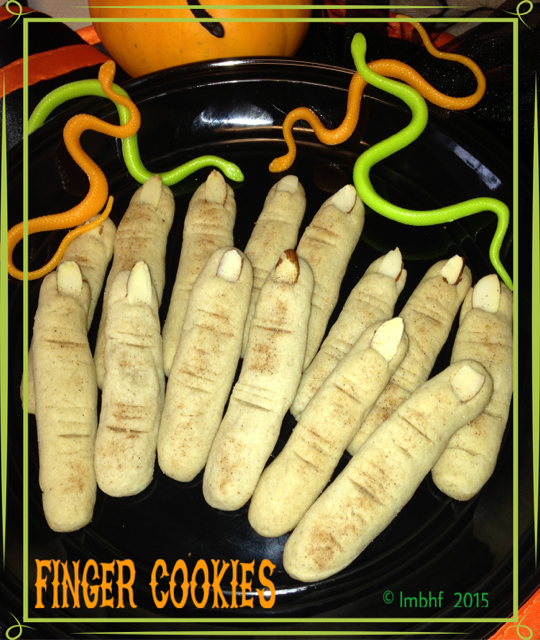 These creepy finger sugar cookies make a great Halloween threat that will have your family and friends oohing, awing and squealing! Form the cookies by rolling the dough into finger size shapes. Flatten one end slightly and stick an almond slice in for the fingernail. Cut 3-4 small slices for each knuckle. Wow, so creepy that am not sure if take a bite, but have to said its saund like a very fun recipe and thread for the occasion, very creative, Its looks to way realistic, love them!! Wow, you did a great job at making them look so real and creepy! Love sugar cookies and this recipe sounds easy and delish! aww these are freaking me out! The kids will love them! Whoa! These look like REAL FINGERS!! I love how the almond slices aren’t perfect, making the fingernails look more authentic. Creepy!! These would totally be fun to make with the family. Thanks for sharing! These look better than any of the ones I’ve seen on Pinterest! Thanks Ashlyn! I was pleasantly surprised with how well they turned out. My kids are going to get such a kick out of making them. Thanks Vi, I hope you and your kids enjoy!